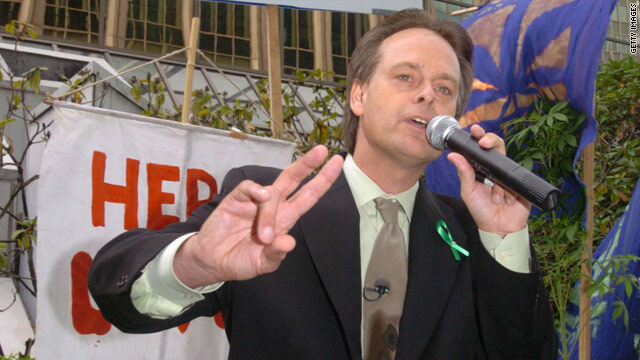 After years of legal wrangling, "prince of pot" Marc Emery is pleading guilty to a U.S. distribution conspiracy charge. (CNN) -- A man known as Canada's "prince of pot" pleaded guilty Monday in a deal with prosecutors that could send him to prison in the United States for five years. Marijuana activist Marc Emery pleaded guilty in U.S. District Court in Seattle, Washington, to a single count of conspiracy to manufacture marijuana following an 18-month investigation into the seed-selling business Emery operated from his head shop in Vancouver, British Columbia. U.S. District Court Judge Ricardo Martinez scheduled Emery's sentencing August 27. At that time, the judge has the choice of accepting or rejecting the plea agreement, said Emery's Seattle-based attorney, Richard Troberman. "Based on comments the court has made. I have every reason to believe he will follow the plea agreement," Troberman told CNN. Emery, 52, was brought to the United States last week. Canada's justice minister signed an extradition order May 10 that left the outspoken libertarian with little choice after years of fighting extradition. "Marc has never been afraid to face the music," said Emery's wife, Jodie. "He's spent most of his life breaking laws he considers unjust to demonstrate they're unjust. He'll go to jail to prove how absurd our drug laws are." The plea comes nearly five years after Emery was arrested in Halifax, Nova Scotia, where he says he was the guest speaker at the Maritimers Unite for Medical Marijuana festival. He was accused of selling marijuana seeds to customers in the United States. The same day, Emery wrote on his website, DEA agents raided his head shop in downtown Vancouver, where he sold bongs, pipes and books. He also produced the magazine Cannabis Culture and ran an Internet portal, Pot-TV. He'll go to jail to prove how absurd our drug laws are. The head shop was the headquarters of Emery Direct Seeds, the target of the DEA's 18-month undercover investigation. During the investigation, according to court documents, agents bought seeds from Emery's business over the internet and in person. Investigators also traced his product to illegal growing operations in several states, the U.S. Attorney's Office said in a July 2005 news release. A statement issued by the DEA in 2005 after Emery's arrest suggested that he was targeted for his activism, with DEA Administrator Karen Tandy touting his capture as a "significant blow not only to the marijuana trafficking trade in the United States and Canada, but also to the marijuana legalization movement." Tandy described Emery as one of 46 of the U.S. attorney general's most wanted international drug traffickers and the only one from Canada, with his "marijuana trade and propagandist marijuana magazine" generating nearly $5 million in profits. Emery and two of his employees were each charged with conspiracy to distribute marijuana, conspiracy to distribute marijuana seeds and conspiracy to lauder money, charges that carry penalties of 10 years to life in prison. After years of legal wrangling with Canadian and U.S. authorities, Emery reached the plea deal on the lesser charge, Troberman said. Co-defendants Gregory Williams and Michelle Rainey-Fenkarek entered pleas this year to lesser offenses and were placed on probation in Canada, according to court documents. They were never brought to the United States. This prosecution has to do with his criminal activities and has nothing to do with his political activism. Tandy stepped down as DEA administrator in 2007, and U.S. authorities seem to have backed down from her 2005 hard-line stance. The news release can no longer be found on the Department of Justice website, and the DEA referred calls to the U.S. Attorney's Office in Seattle. "This prosecution has to do with his criminal activities and has nothing to do with his political activism," said Emily Langlie, spokeswoman for the U.S. Attorney's Office. Langlie added that she could not comment on the 2005 DEA statement. Emery summed up his raison d'etre in a lengthy article published in Cannabis Culture and online after his arrest. He described his thoughts at the moment he was handcuffed: "Every seed sold, all the millions of dollars I had given to the cause, every speech to free our people, every arrest, jailing and raid I had endured: it was all for this moment in time." Much like in the United States, distribution and trafficking carry heavier punishments: a maximum of seven years for conspiracy to manufacture marijuana and a maximum sentence of life imprisonment for conspiracy to traffic in marijuana, according to a spokeswoman for Department of Justice Canada. In practice, Canadian judges rarely mete out sentences longer than two years plus fines, based on a policy of judicial guidance that calls for incarceration as the last resort, according to several criminal defense lawyers and drug policy experts. "Sentences typically don't reach the mandatory minimums that are in place in U.S. federal system," Vancouver defense lawyer Kirk Tousaw said. He is Emery's legal counsel in Canada, a contributor to his magazine and attorney for his co-defendants. It was the U.S. who stepped in and put pressure on Canada. Extradition to the United States, however, is commonplace in cases of Canadians accused of selling or smuggling drugs in the United States, said Troberman, Emery's Seattle-based attorney. He has represented many Canadians in the United States. "The only thing that makes this case somewhat unusual is that Marc was very visible and open about everything he did, and the Canadians had no interest in prosecuting him," Troberman said. "It was the U.S. who stepped in and put pressure on Canada." Emery is the founder of the British Columbia Marijuana Party, and his status in Canada as a tireless champion for marijuana reform has been cemented through more than a decade of sit-ins, demonstrations and runs for political office. By his own account, he has been arrested at least a dozen times since 1995 related to his activism, and Vancouver Police have raided his shop several times since it opened in 1994. In media interviews and biographies posted on CannabisCulture.com, Emery claims to have been fined twice for selling seeds and says he has spent three months in a Saskatchewan jail after being caught passing a joint in public. "Some people will say he pushed it too far, but that's his approach. He's the enforcer on a hockey team. He makes everyone else look polite," said Eugene Oscapella, a founding member of the Canadian Foundation for Drug Policy, which shares many of Emery's goals but pursues them through public education and legislative efforts. To Oscapella and others familiar with Emery, the trajectory of his activism made martyrdom in a U.S. prison the next natural step. "He did this on purpose. He did it knowing the potential consequences," Oscapella said of Emery's Direct Seeds. "Emery has always stuck his neck out. He's a civil libertarian, almost an anarchist, so it's very much his character to thumb his nose at U.S. drug policies." People familiar with the case said Emery's fate was sealed when the current conservative Canadian government came into power touting a law and order agenda that included vows to bring in mandatory minimum laws for certain drug offenses. From behind bars, Emery continues to guide the movement with the help of his wife, Jodie, and legions of supporters. He plans to apply for a transfer to Canada after he is formally sentenced, which is expected to occur in two to three months, his lawyer said. Emery sent a message to supporters in an recorded telephone call with his wife while he awaited extradition. He urged them to keep up the fight against mandatory minimum sentences and other new drug enforcement laws by adopting "militant" tactics, like sit-ins at the offices of MPs and traffic blockades. "If just one person, me, being in jail is what it takes to arouse thousands, tens of thousands, hundreds of thousands, maybe millions of Americans and Canadians to get out and be involved and be responsible and take charge and take the initiative, then I'm a very happy individual."